Disputes and Chargebacks are not the most exciting thing to talk about when it comes to running a business. However it’s a topic that can dramatically impact it in a negative way if you don’t have a plan in place to avoid and handle them. If not managed properly, your payment gateway or merchant accounts have a good chance of getting closed! This guide was designed to help you avoid and address disputes and chargebacks the appropriate way to help keep your merchant account, payment gateway and overall business in good standing. A dispute is related to a credit card, debit card or Paypal purchase where a customer questions the validity of their transaction to the payment processor/merchant. The customer may dispute a charge for a variety of reasons, including unauthorized charges, excessive charges, failure by the merchant to deliver goods, defective goods, a billing error or simply they were not happy with the product or service they received. The vendor is then notified by the payment processor/merchant of the dispute and why it is being disputed. The payment processor acts as an intermediary and typically gives 7-10 days for the two parties to come to a resolution. If the vendor and customer cannot come to an agreement as to how to move forward, the dispute is then up to the processors discretion. If the customer wins the dispute there may be a fee incurred to the vendor – typically between $10-$25 for each lost dispute. A chargeback is similar to a dispute and sometimes can mean the same thing based on the processors terminology. However normally what happens is the customer will try to resolve the dispute with the vendor via a dispute. If there is no resolution it moves to a pending chargeback where the processor will then make the determination on what should happen. The customer and vendor will provide any evidence to plead their case (typically within 7-10 days) and a decision is made by the processor. If the customer wins, there usually is around a $10-25 fee that is charged to the vendor. If the vendor wins, there are no fees and the vendor keeps the payment. 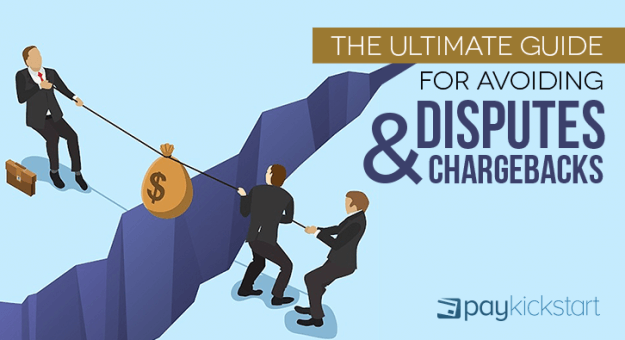 The first step in managing disputes/chargebacks is to learn how to avoid them all together. Here are a number of ways that you can avoid the number of disputes or chargebacks you receive from customers. Make sure you use a name on the credit card descriptor that is accurate and related to the product they purchased. If a customer does not recognize the merchant on their credit card statement, there is a good chance they will file a dispute/chargeback. I know it sounds simple, but having timely customer support is an easy way to resolve any issues or concerns a customer may have when they reach out to your help desk or support area. Make sure you provide an easy way to get in touch – with a customer service email address and/or phone number. The longer a customer has to wait for a response, the more impatient and likely they are to file a dispute/chargeback. Another easy way to avoid disputes/chargebacks is by over delivering on your product. 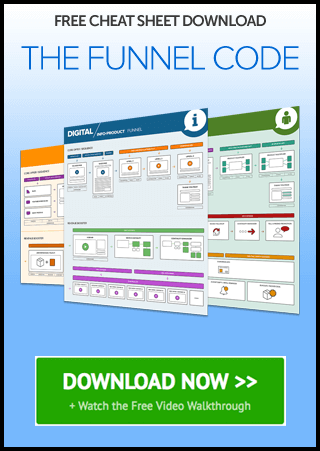 First, making sure that whatever you promise on your sales page is delivered to your customer in a timely manner. Second, over-deliver on your products expectations and provide extreme value. This is just a good business practice to ensure happy customers. Many customers get impatient when they have to wait for the vendor to process a refund. A typically best practice is to refund payments within 24 hours of a request from the customer. Also it may be worthwhile to let the customer know that depending on the payment provider it may take 48-72 hours to reflect on their credit card statement. Regardless of what your refund policy is, it should be clearly stated for the customer to acknowledge before purchasing. If you are providing a product/service that includes a recurring subscription or rebill, sending out a reminder email that in the next day or two a rebill charge will be made, can help provide full transparency and avoid customers “forgetting” that they were going to be charged again. Of course, ensuring the customer clearly recognizes that what they are buying incurs a recurring charge, is step one. * Luckily for you, PayKickstart already has functionality built in to remind your customers before a rebill is about to process. Yes, the majority of credit card processors and Paypal have fraud protection built-in but it isn’t always 100% fool-proof. Which is why it’s important to continuously monitor your sales activity, being on the lookout for any suspicious or irregular sales. * Enabling a legal checkbox on your PayKickstart checkout page is simple. Just Enable it in the edit product (step 2 – checkout page) area and provide the text/links you want them to accept. Unfortunately, there is going to come a time when you inevitably are going to have to fight a dispute/chargeback with a customer. When it does get to that point, the outcome will be determined based on the evidence you provide the payment processor. Here are a number of top ways to properly handle the dispute/chargeback and put yourself in the best possibly position to win. The first thing you want to provide to the payment processor is proof of purchase and all of the customer & transaction details to prove that the transaction was a legitimate charge. Providing customer name, email, phone number, address, IP address, product they purchased, signature, day/time of the transaction, transaction amount, payment details used (last 4 of the card, paypal email), and previous communication with the customer. Send screenshots of ALL evidence. Make sure all of that evidence is organized and in an easy way for the person reviewing to understand the evidence. When a dispute or chargeback is filed, the processor will typically provide a reason as to why the customer filed. This is a good starting to as to how to structure your response, addressing the reason and providing evidence around that reason. Many times a customer will file a dispute because you as the merchant have denied a refund because it is outside of your refund period. So it’s best to show to the payment process clear evidence of your refund policy (where the customer could see it) and to show that they are in fact outside of the refund period and not eligible for a refund. If you are able to prove that the product was sent to the customer and/or used by the customer, this will help to win. Providing the download history, IP address, browser, device, and/or operating system that they used when they consumed the product. If it was a physical package, showing who the shipping carrier was and when it was delivered. While a customer can typically file a dispute or chargeback up to 180 days of the original purchase date, merchants must act fast. Most processors allow 7-10 days to fight and provide evidence. The bank or payment gateway loves to see proof that the customer agreed to terms of service prior to purchase, to show that they were aware of the charge and/or future subscription charges. Provide that URL with a screenshot highlighting that part of the page where the legal checkbox is located. Remember, at the end of the day, a lot is going to come down to your sales/marketing and communication with your customers. Hope that this guide was helpful!